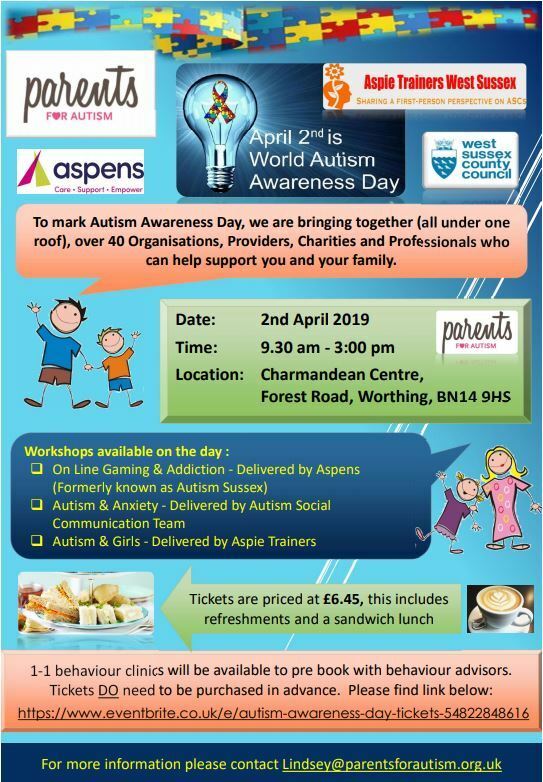 2nd April 2019 is Autism Awareness Day and I have attached details of an event I am hosting at the Charmandean Centre in Worthing. We have 40 organisations booked in to offer families and professionals advice, information and support. 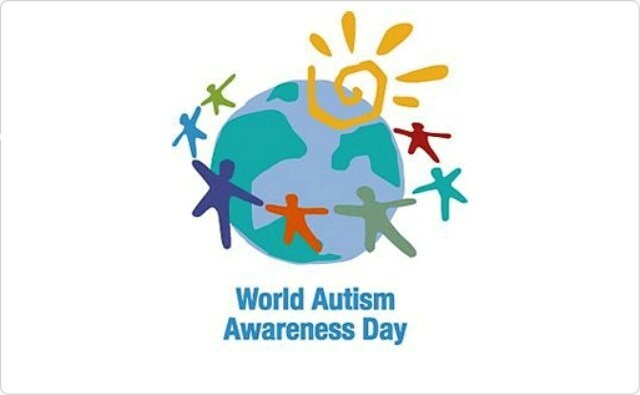 During the day workshops will be running and also 1-1 behaviour clinics. This is a drop in event so you can stay as long or as little as you like. There is a small charge to attend which is £6.45 each and this includes refreshments. I have attached the flyer and would be very grateful if you can cascade to families within your schools.